Many thanks to Anthony for doing last night’s post. I made the craft but didn’t have the mental energy to talk about it because I was trying to prepare for a job interview which I had this morning. It’s for a permanent position at my current work place. I found the interview rather stressful (more so than normal) and that’s because there is a lot riding on it. In 2.5 weeks my temporary full time contract comes to an end, and if they can’t offer me anything, we’ll be able to pay for rent and food but not for anything else. And that worries me. I’ve been in this situation and worse before, and I know that God will get us through it, but in all honesty I find it hard to trust when I don’t what that solution will look like. I like to feel in control. For my fellow Christians, please pray that I’ll know God is in control (not me) and that He knows what is best for me, whatever that might look like. But back to the world of craft! 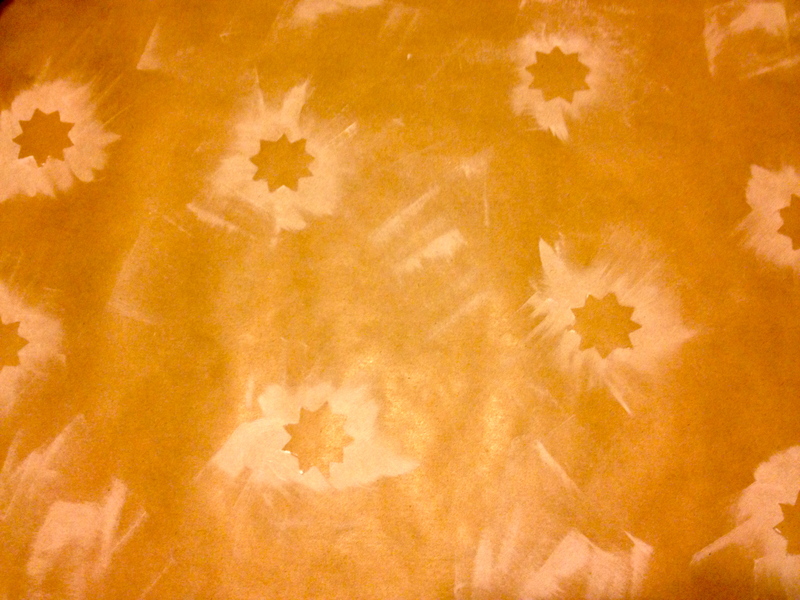 Tonight I crafted this brown wrapping star paper. It didn’t quite work out the way I envisaged (I think I was trying to capture star bursts), but I’m sure I’ll find a use for it. Thank you beautiful Katie! Can’t wait to see you on Sunday!